Amazing turn key home sitting on 10 acres of land. Complete remodel with many great features. 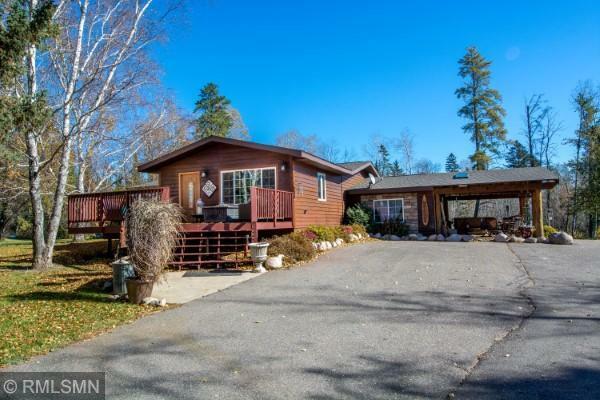 SS appliances, large tiled bath w/soaking tub and step in shower, fireplace, amazing laundry, large lower level w/potential for more bedrooms, outside entertainment area w/ hot tub, 28x42 detached insulated garage. Option to purchase additional 20 acres w/ 40x60 shed w/1/4 bath & built in mechanics bay. 10 mi Leech Lake 1/4 mi to Kabekona Lake, Paul Bunyan State Forest within walking distance.